The continuing adventures of a grown up Philadelphia street urchin from 1948. 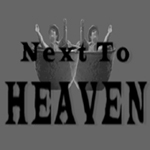 Don’t forget to subscribe to the new Hopper Video Vlog “Next To Heaven” and get a new taste of Heaven every Wednesday! This entry was posted on Thursday, September 28th, 2006 at 8:26 pm and is filed under Uncategorized. You can follow any responses to this entry through the RSS 2.0 feed. Both comments and pings are currently closed.